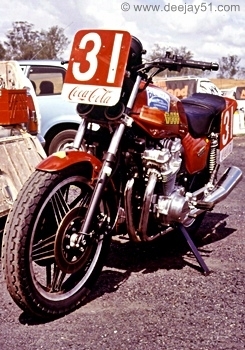 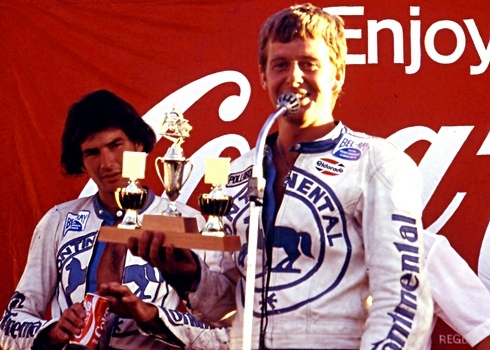 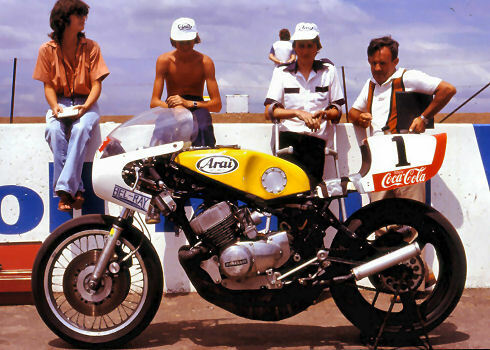 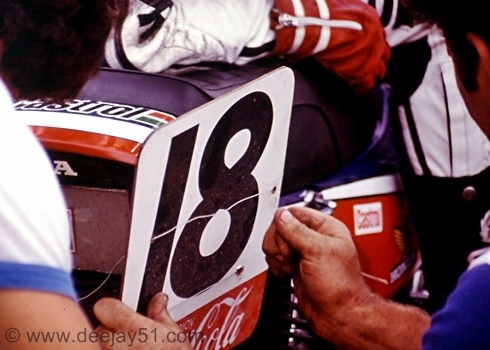 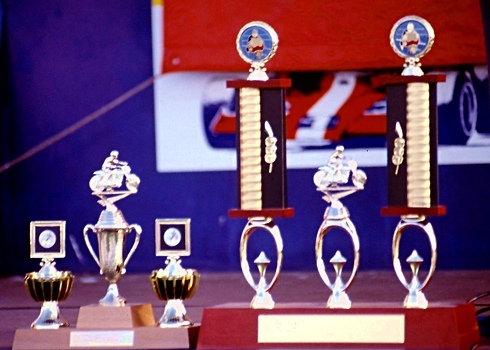 THE COCA COLA 800, ORAN PARK - 1980: Coca Cola were very welcome as the main Sponsor for this brave attempt at a modified production and specialist race machinery event over 800 kilometres at the Oran Park race circuit in Sydney. 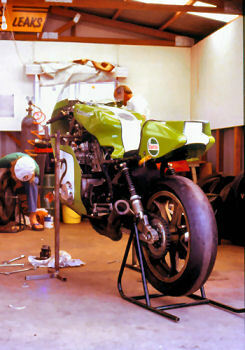 I concentrated on pit area photography. 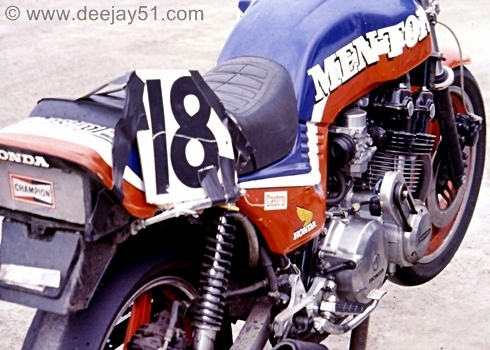 The event clearly had some great machinery and riders, a pity that the crowd was very poor. 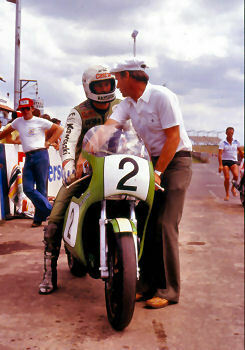 TEAM KAWASAKI AUSTRALIA: Kawasaki came to the event with a very special machine and a 'Dream Team' rider pairing of Gregg Hansford and Jim Budd. 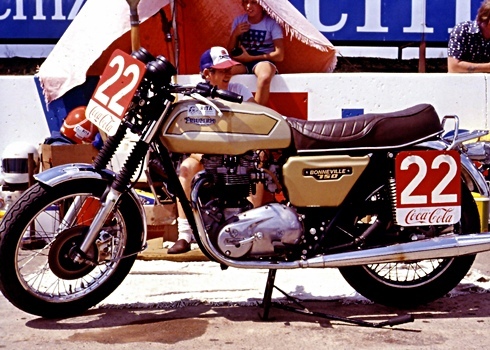 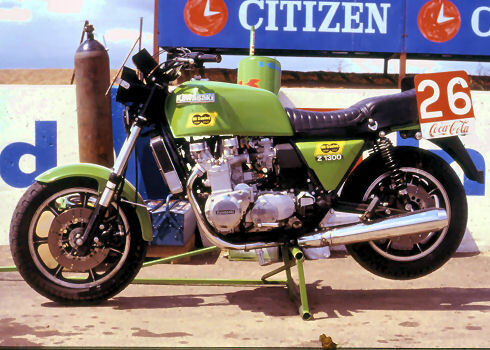 The machine, direct from Kawasaki Japan was a Z1000SR prototype, fettled by 'TKA' Neville Doyle. 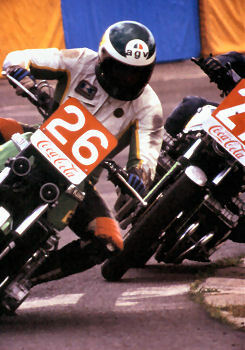 GREGG, NEVILLE & JOHN WARRIAN! 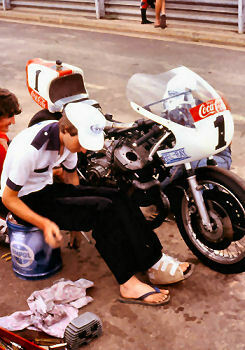 Practice went well, however the bike, in the hands of Jim Budd failed during the race due to ignition gremlins. 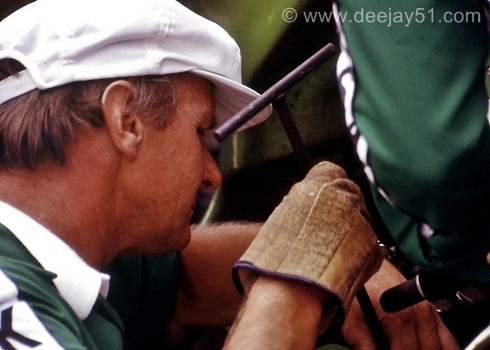 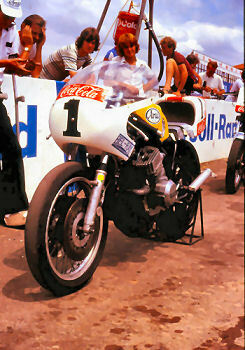 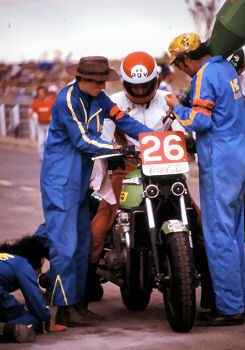 Jim and Gregg 'rescued' the bike, pushed it back to the pits and Neville endeavoured to get it competitive again. 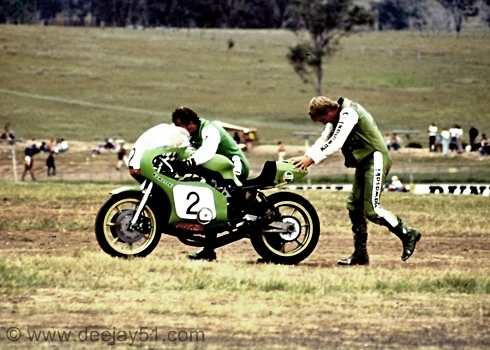 I initially withheld the images of Jim and Gregg's anguish after having recovered the 'SR' for Neville to work on, however the following images surely reinforce the commitment they gave to Australian Road Racing and I have now decided to show them as a mark of respect, suffice to say both gentlemen were totally exhausted recovering the bike. 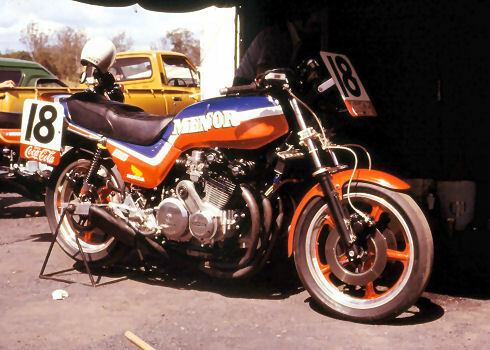 KAWASAKI - THE WILLING'S: Kawasaki were also well represented with a Two Stroke, a highly modified 750 Mach IV, fettled by the then injured Warren Willing. 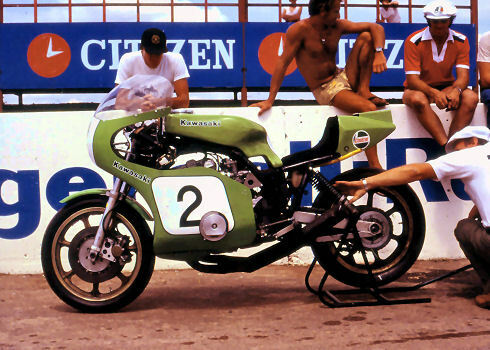 KAWASAKI: Wow, the Alan Blanco Z1000-Z1R really looked great, beautiful presentation. 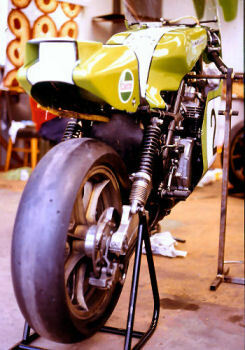 Oil cooler, 4 into 1, huge fork brace and 'heavily' drilled disc rotors. 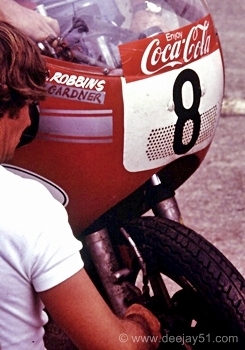 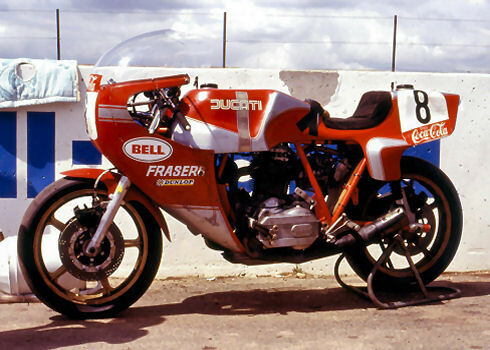 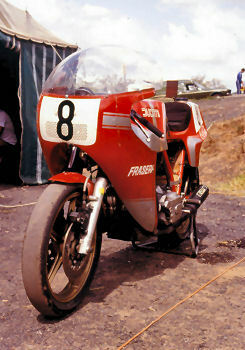 DUCATI: Fraser's with Billy McDonald overseeing the operation entered this machine. 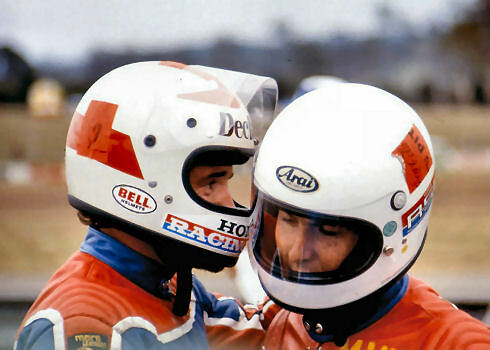 Somehow, BMW Guru, Don Wilson was involved, hmmm. 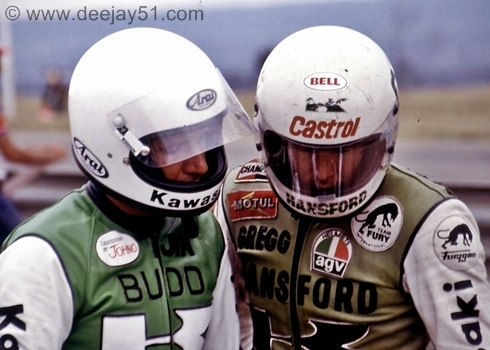 BILLY McDONALD AND DON WILSON CHEWING THE FAT!! 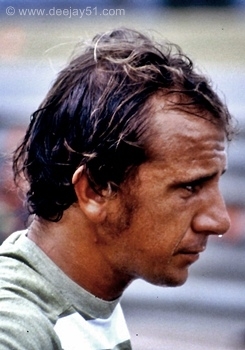 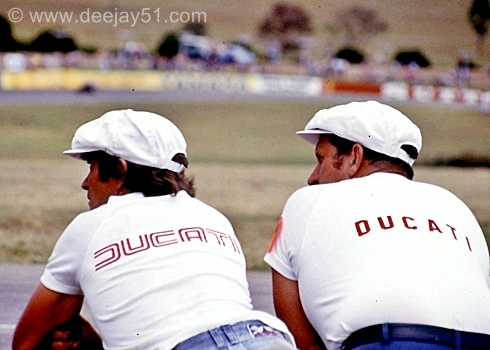 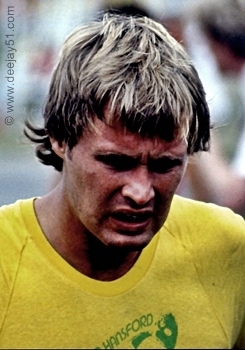 DON MUST HAVE RUN SHORT OF BMW T SHIRTS!! 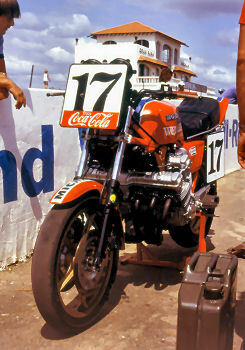 HONDA CBX!! 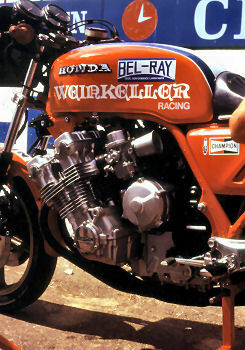 : The 'wildest (but NOT the widest) looking' entry, no contest, of course this Honda CBX, again beautifully presented with a six into one muffler (yes) and six open bell mouths for that induction roar!! 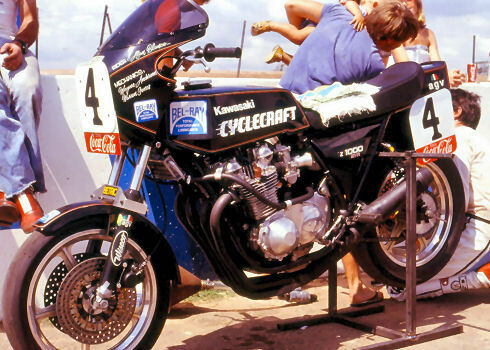 Surprisingly there was no front fork brace fitted and the frame looked totally stock. 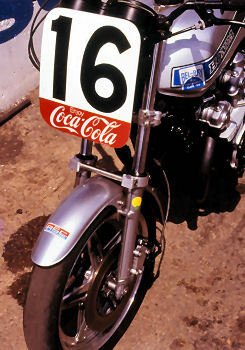 WIDIES!! 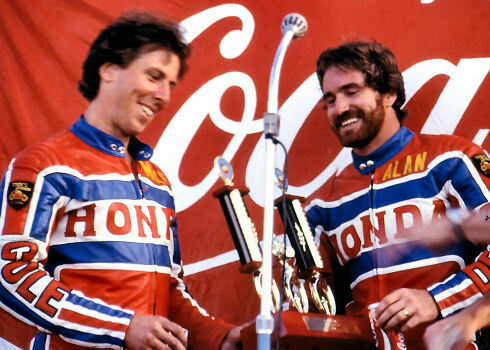 : It was 1980, wide was in. 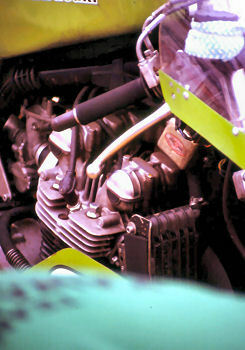 CBX's and the Kawasaki Z1300/6 were in! 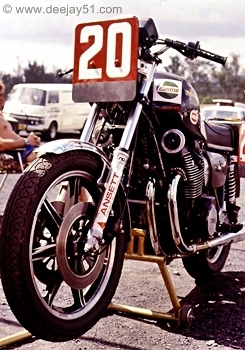 Even for Road Racing, woohoo!!!! 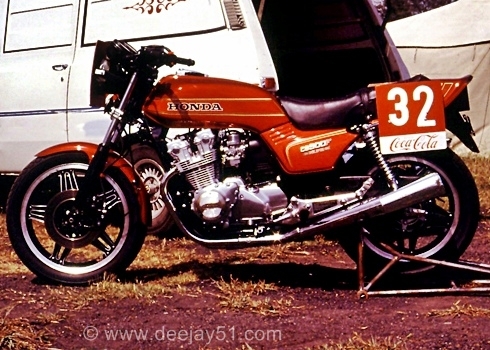 THERE YOU GO, A Z1300 RACE BIKE!! 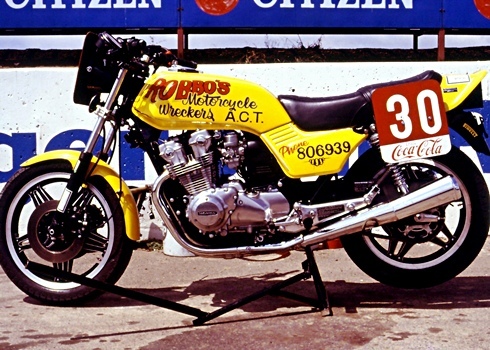 HONDA RSC: The Honda RSC entry was at least conventional looking, based on the CB900F/4 and ridden by Mick Cole and Alan Decker. 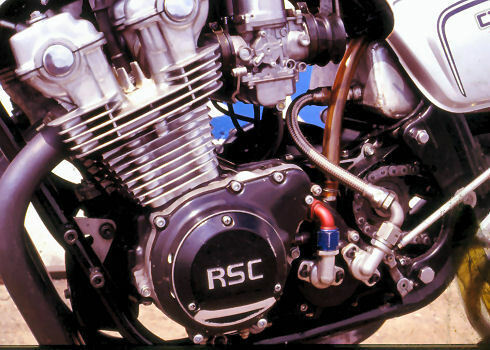 HONDA RSC: Another Honda RSC entry piloted by Dennis Neill. 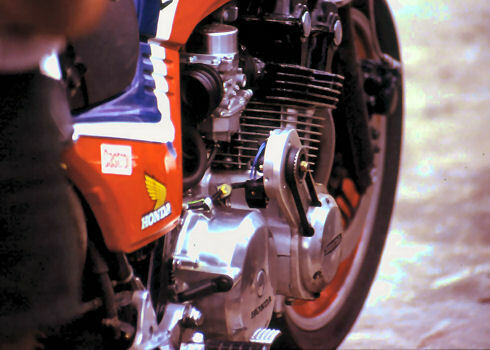 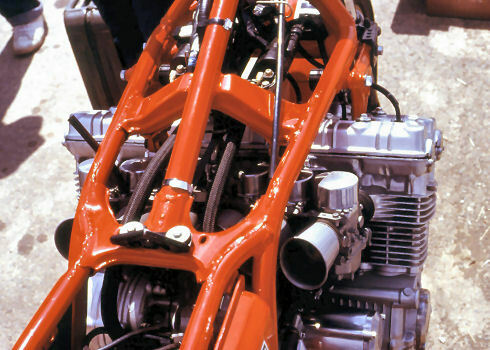 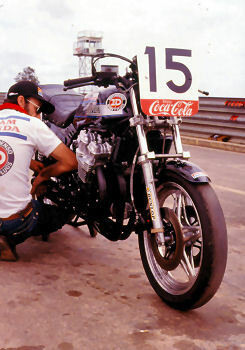 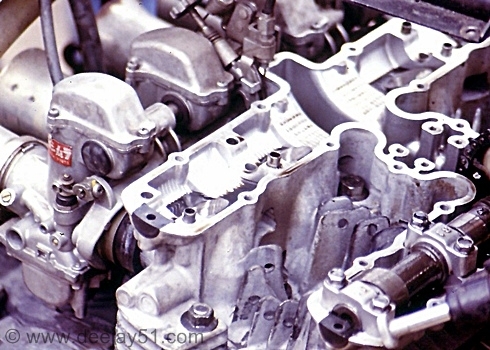 HONDA - AUSTRALIAN IDEAS: Mentor Motorcycles and Peter Molloy had some 'unique ideas' with regard to the mounting of the Engine Electronics, a delicate looking drive belt 'drove' a remote timing system. 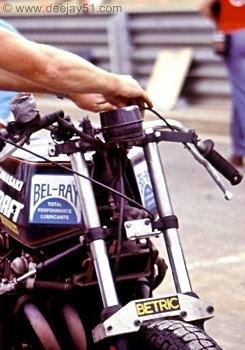 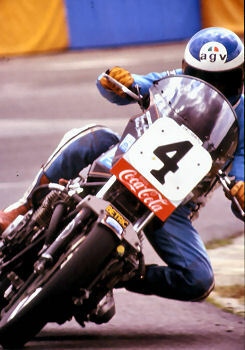 The front forks were reversed, hence the Front Brake Calipers were forward of the forks with very exposed brake lines! 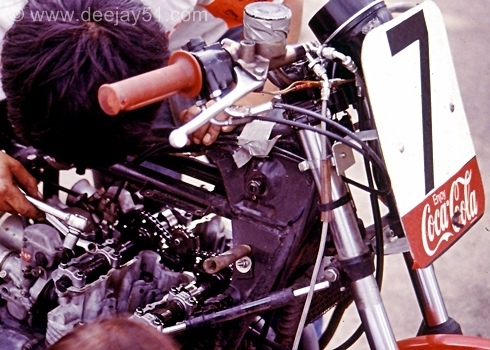 Maybe they relocated the brake lines to clear the Oil Cooler? 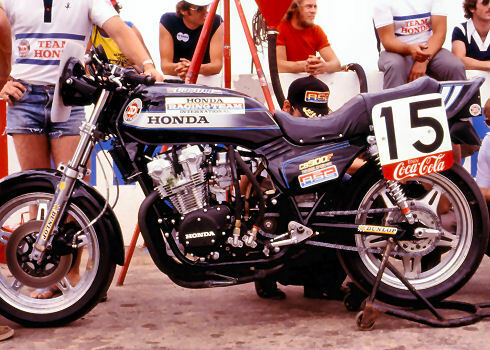 WINNERS ARE GRINNERS: Mick Cole and Alan Decker piloted the Honda RSC (Bike No.15) to the chequered. 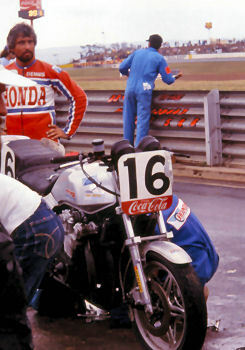 The bike never missed a beat and Honda's pit stops were very quick.